Under Construction. UNDER CONSTRUCTION. Completion December 2019. 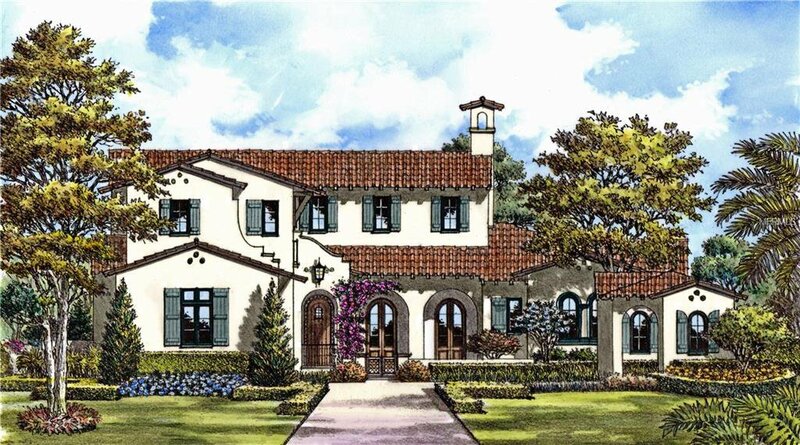 With a Spanish style and modern design, The Georgia by Goehring & Morgan combines open spaces with beautiful finishes for a breathtaking retreat within the Gardens of Isleworth. Beyond the circular motor court, an arched wooden door reveals the foyer with groin vault leading into the two-story home. A soaring cathedral ceiling with exposed wood beams crowns the light-drenched gathering room with two-story fireplace. Light and airy, the kitchen features a clean, white backsplash and taupe painted cabinetry paired with professional appliances by Wolf, Sub-Zero and Bosch. The dining room boasts an arched fixed-glass window from the floor almost to the ceiling and is complemented by a modern wine room under the stairs. Four generous guest suites include the main-floor master suite with its beautiful bath featuring dual vanities, a walk-in shower, large wardrobe and freestanding tub. Opening to the sprawling open-air pool and spa, the covered patio with summer kitchen is the ideal place to enjoy Central Florida’s warm climate all year round. 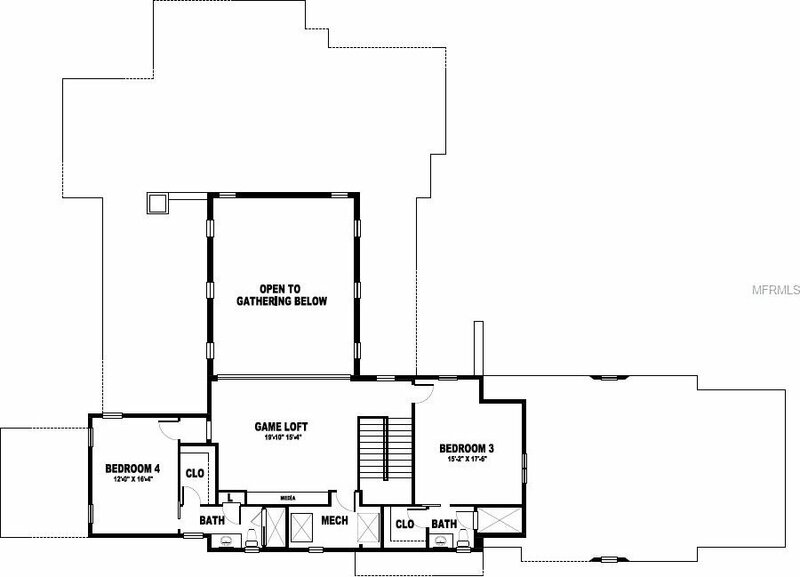 Option to add detached guest casita or in-law suite, adding another bedroom. 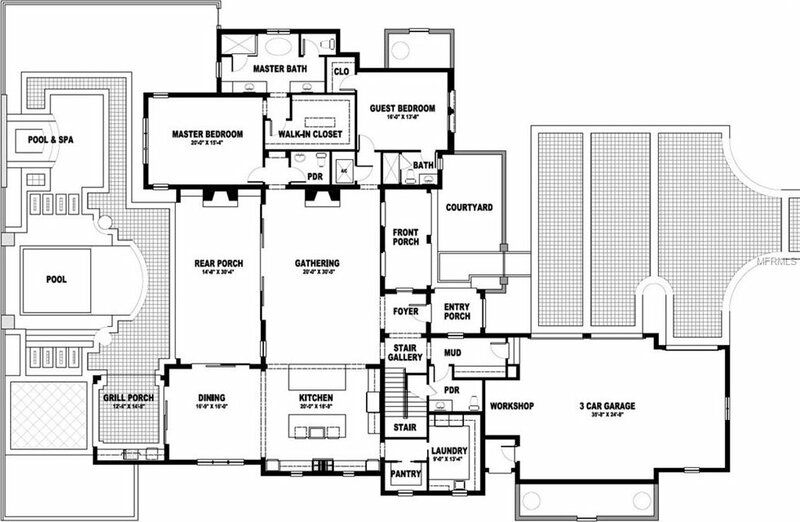 Floor plan available upon request. Listing courtesy of ISLEWORTH REALTY LLC.